Temeria is often referred to as the “Pearl of the North” in the books and Witcher game; the second largest of the Northern Kingdoms after Kaedwen has a rich economy based on agriculture and various industries. 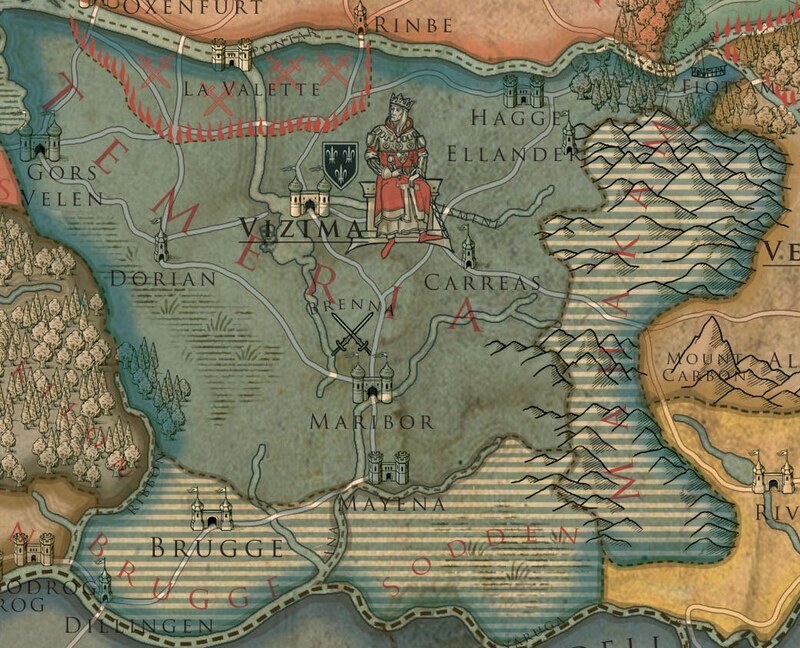 Temeria is bordered on the north and south by the two largest rivers, the Pontar and the Yaruga. To the east are the Mahakam Mountains, home of the Dwarves and Brokilon forest to the west. During the First Nilfgaard-Nordling Wars, Temeria played a key part in beating back the “Black Ones” of Nilfgaard. Of the Northern Kingdoms, Temeria outpaced its neighbours by developing a strong military and during the Nilfgaard Wars Temeria forms a number of elite units in addition to the already growing number of troops. One such elite body are the Knights of the White Rose, a military order which took on a more religious bearing and later became the Knights of the Flaming Rose. This unit serves directly under the King. The Witcher Wikia lists more troop types and among the infantry the most famous were those titled Landsknechts; the latter being heavily armoured units wielding pike, halberd and crossbow. 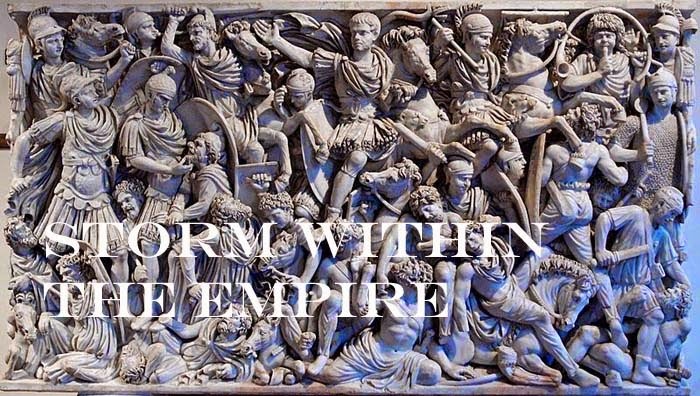 Following the death of King Foltest, the quality and composition of the Temerian army would rapidly decline as each of the noble houses seek to secure their own holdings. In this respect we may find the Temerian army regressing from a strong Medieval French ‘c’ sub-list to weakened ‘b’ list. 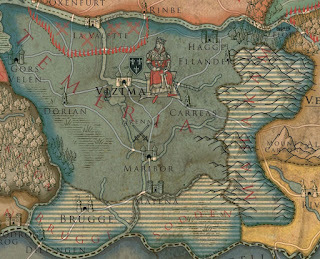 The rebellious Temerian population would have similarities to the Jacquerie and the Voulgiers and Scots archers would come from the volunteers of Cintra or similar oppressed provinces. 1 - 2 javelinmen (Ps) or peasant levy (7Hd). The Rangers first appear in the book “Sword of Destiny” and are volunteers whose sole mission is to eradicate the forest regions of Elves and other non-humans. Predominantly bow armed and are classed as “fast” troops (3Bw/Ps) these did not appear at any of the major battles against Nilfgaard, but will be used for the scenarios involving the guerrilla conflicts against the Elves.